Bergen County Historical Society is holding the Bergen 350 Gala on October 15, 2014 to celebrate New Jersey’s 350th Anniversary. The Gallery Collection is proud to participate by offering 6 assortment boxes of our beautiful greeting cards for use in auction at the event. 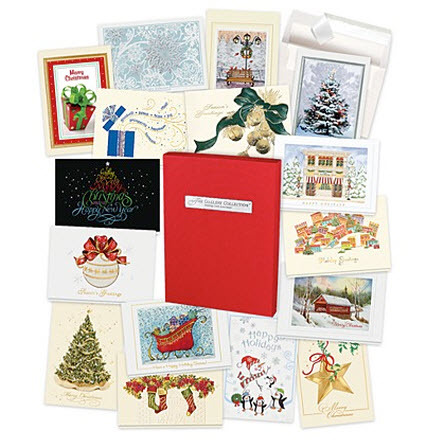 These assortment boxes include holiday cards, birthday cards, and all occasion cards. The Bergen 350 Gala will be a once in a lifetime celebration – an event to observe New Jersey’s 350th Anniversary and mark Bergen County’s place in it. Equally important, the Gala will raise funds for the long-awaited and much-needed Bergen County Museum that will house Bergen’s historic artifacts. For more information about the Bergen 350 Gala, please visit their website at http://bergen350.com/. Really nice that the company donates to such worthy organizations. Great to see a company giving back! What a generous donation! I would love to see a Bergen County Museum. Thanks for the information. I’m attend this event with a few colleagues of mine and we were thinking of leaving business cards with those we encounter. However, greetings cards are certainly more personal and can be paired with an insert for donating to our local charity. The Bergen 350 Gala is a great place to network with other great charitable organizations. Hope to see you there! As a Gallery Collection customer it pleases me to hear that your company makes charitable donations like this one. Keep up the good work! A little bit goes a long way and I am sure this organization must have been grateful for the donation. Nice work! Wish more companies were like this. I never knew NJ was so old. I guess I should have paid more attention in my US history class. But I do love museums. This donation truly went to a good cause. I wonder if the museum opened yet. This is an amazing cause . Love the generosity of the company.